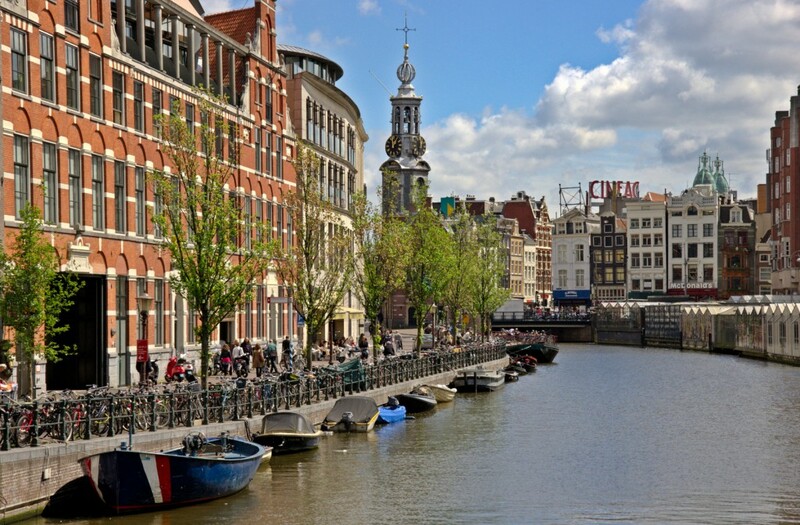 The historic core of Amsterdam remains much the same today as when it was first laid out. 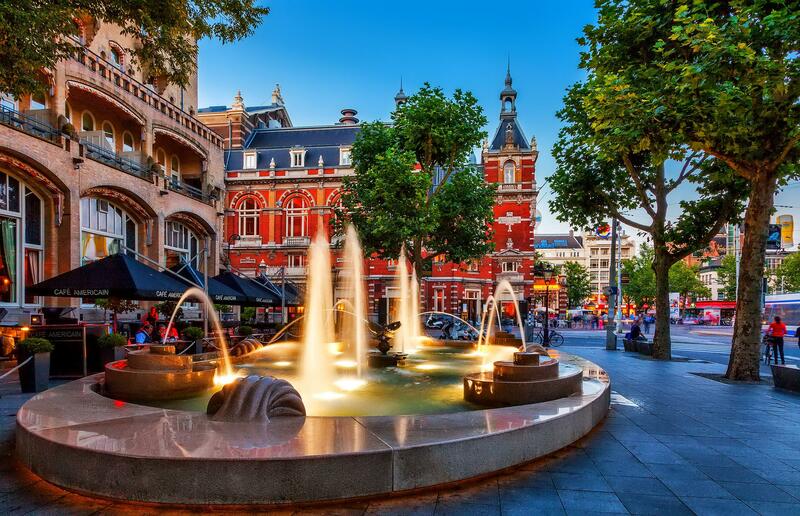 Amsterdam’s tourists main drag Demrak was once the main canal, today it connects the train station with the city’s main square and the Royal Palace. From this spine the city opens like a fan, with hundreds of bridges and a series of concentric canals. 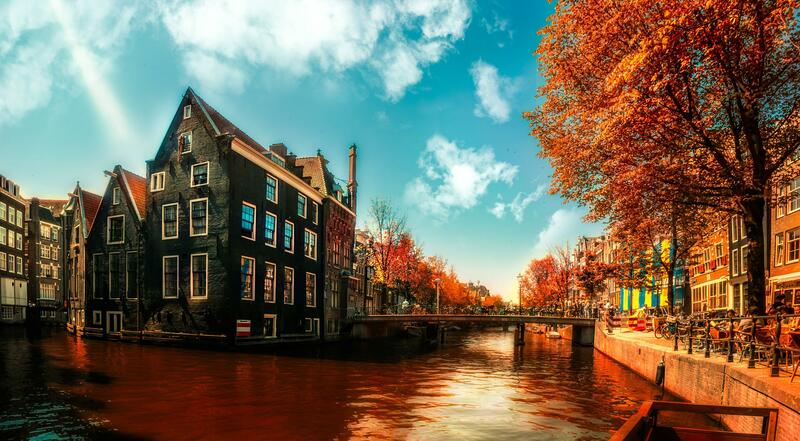 There is a wonderland of canals lined with trees and townhouses crowned with fancy gables. You can hire some of the electric boats for a little independent exploring of the city. The characteristic Jordaan district offers a quiet slice of Dutch urban life which is now for to a artists, and a restaurants and cafes. 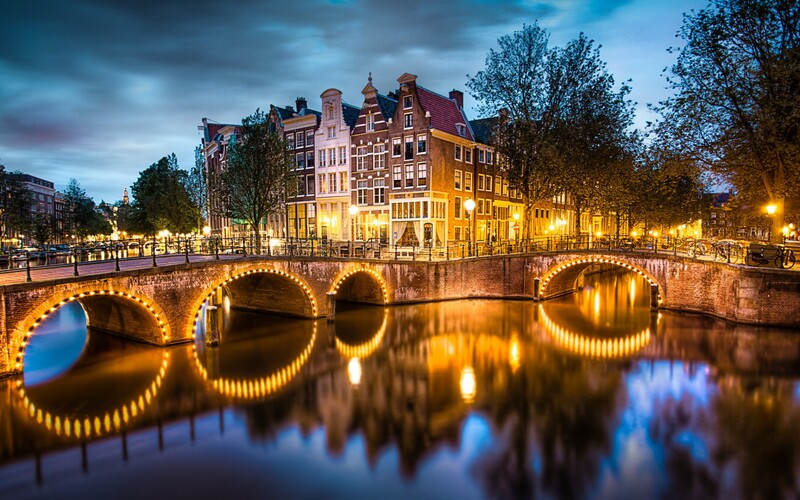 The frugal Dutch made their simple buildings look fancy by adding ornate facades. 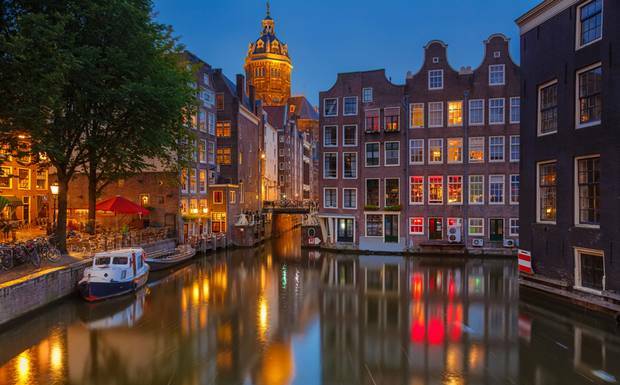 Amsterdam’s famous gables include e point gable , bell gable , step gable and neck gable. 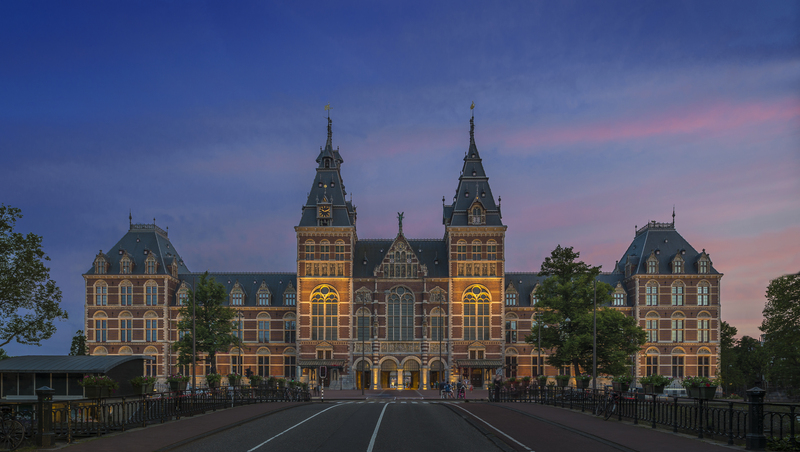 Amsterdam’s Rijks museum is one of the artistic highlights of Europe. 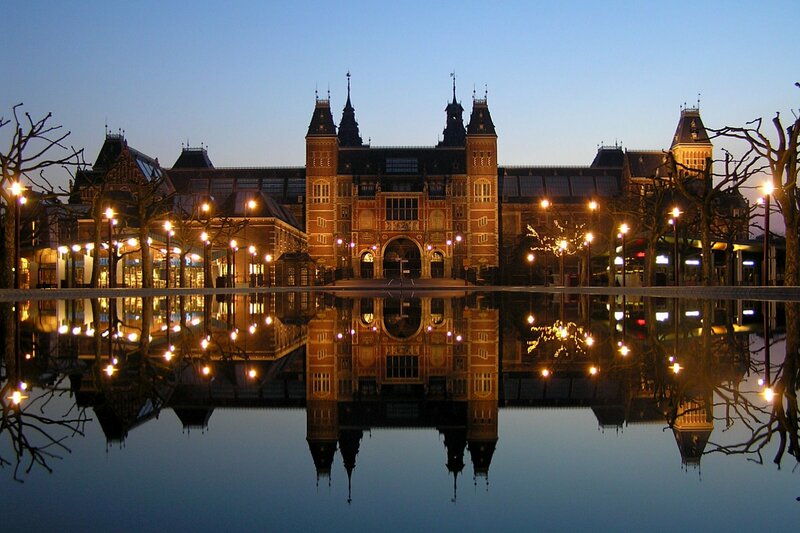 It was built to showcase the art of the Dutch Golden Age. Amsterdam has a plenty of examples of their progressive approach to subjects many people consider unsavory. With the local passion for tolerance it is occasionally shocking. Curbside urinals, prostitutes who are unionized, taxed , and coffee shops that sell marijuana. 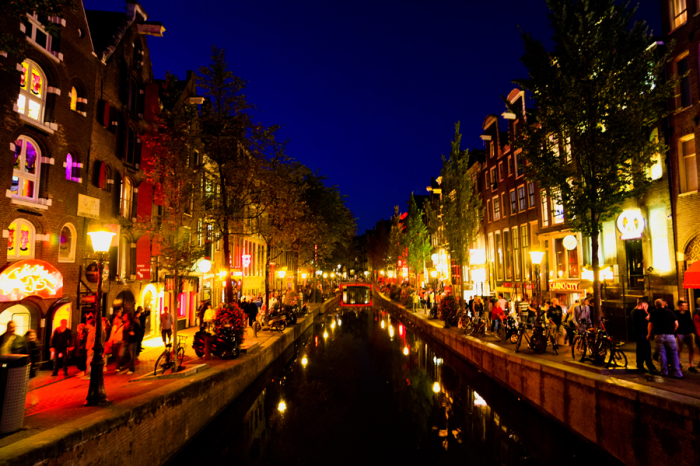 Nighttime Amsterdam has a relaxed and inviting charm . 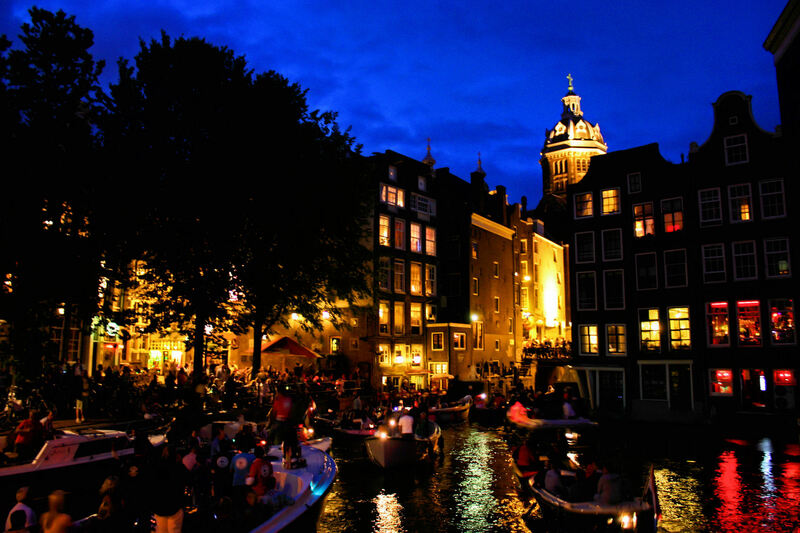 Enjoying this dimension of the city , canal boats treat visitors to a scenic ride, while privately hired boats of all sizes create their own ambiance. 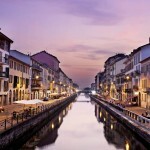 As the street lamps come on you will enjoy another memorable dimension of this romantic city. 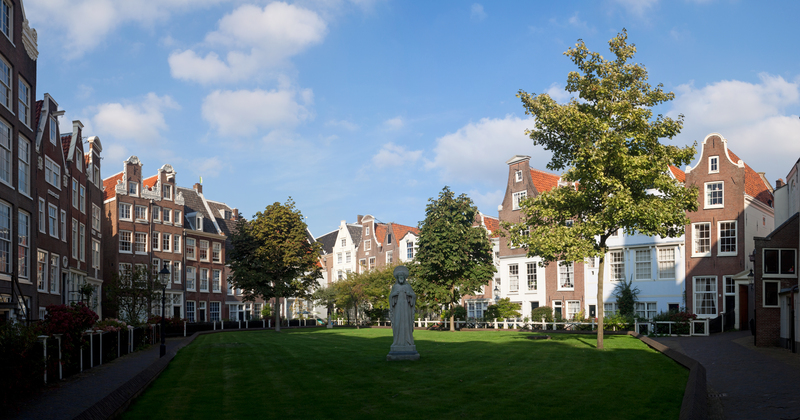 Another peaceful oasis is a Begijnhof originally made for the woman who served the church. 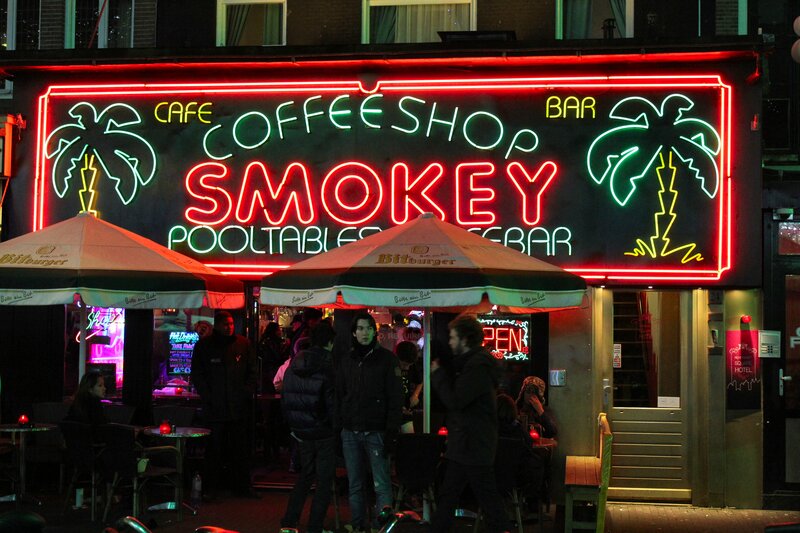 Somehow Amsterdam manages to be the both vibrant and mellow at the same time. You feel that best in Vondelpark on a sunny summer afternoon. The easy going hedonism here seems to say- inhale, exhale and relax.